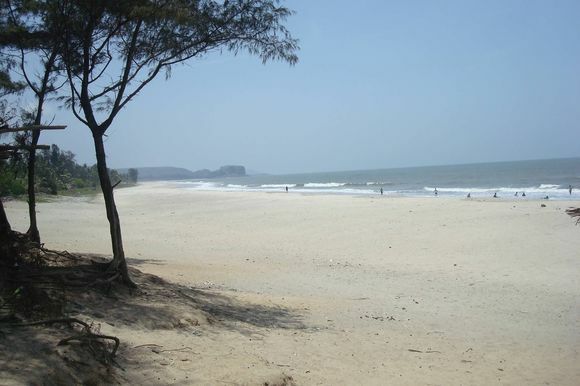 Kashid beach is about 30 kms from Alibaug and 22 kms from Nagaon on Alibaug-Murud road. Kashid beach is a 3 km stretch of white sand beach tucked in between two rocky hillock with Casuarina groves all along the seashore. Kashid is popular mainly because of its white sand, blue seas, green mountains, paddy fields, and rivulets. Kashid beach is the best beach among all beaches in Alibaug. Kashid beach is very crowded on weekends but on weekdays it has almost deserted look. There are lots of shacks with hammocks offering snacks , cold drinks, coconut water. You can relax there and enjoy the beauty of beach. Because of shacks and hammocks, Kashid beach has resemblance to Goa beaches. 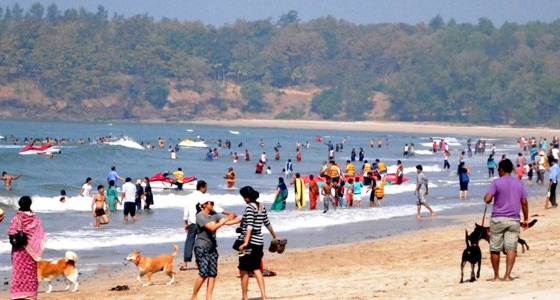 Kashid beach is also a favourite place for adventurous and water sports hobbyist. You will find para sailing, jet skies , motor boats ride, banana ride, many other water rides at Kashid beach. Though kashid beach is considered as best beach in Alibaug, its not safe for swimming because of very high waves and rocky at some places. There were many fatal accidents in the past.